Black 3/4 sleeve scoop neckline, 60% cotton / 40% poly. 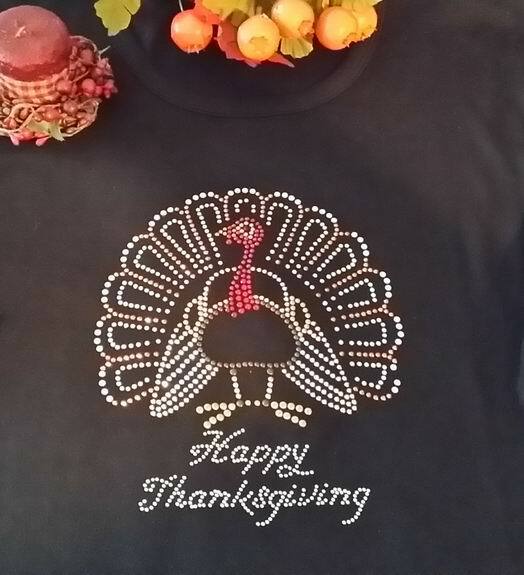 Rhinestones are the perfect color for fall. This shirt is very machine wash friendly.